Why should companies get involved with EV100? With most cars on the road sold to the corporate sector, businesses have a huge opportunity to lead in cutting emissions from road transportation and tackling air pollution, showing their customers and employees how they are stepping up. With many European cities preparing for low or zero emission zone legislation to limit access of polluting vehicles, our EV100 members are also committing to electric vehicles to lower business risk and future-proof their operations. Going electric is simply good for business. Joining EV100 enables companies to showcase their leadership through our global platform and join their peers in exchanging best practice and learnings on how to make the switch. As companies come together and showcase collective demand, they can accelerate market and policy change. 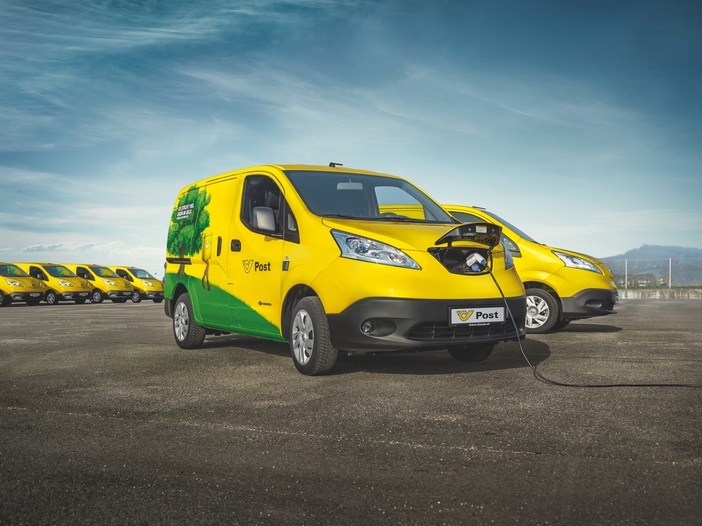 What are the key challenges standing in the way of companies like Austrian Post and Swiss Post switching to 100% electric vehicles? The current lack of available electric vehicle models in some markets can still be a barrier. Businesses are not always able to access the vehicles they want and need for specific purposes yet. By joining EV100, companies send a clear and powerful signal to auto makers, showing that the demand for electric vehicles is already there and now needs to be met with increased supply. Higher up-front costs of electric vehicles can also be a barrier, but is often balanced out against operational savings on fuel, maintenance and repair. For the postal sector, where vehicles clock up significant mileage throughout the day, the financial case is already strong. Add to this the growing regulatory pressures around air pollution and plans to establish low or zero emission zones in cities, and switching to electric vehicles simply makes business sense. Do automotive manufacturers need to do more to support posts to deploy electric vehicles? How do current electric vehicles need to be improved? Every sector has slightly different needs for their fleets. Postal companies, for example, need enough payload to accommodate increasing amounts of packages for delivery, and they need vehicles that are easy for staff to operate. We need the auto industry to listen to the demand signal businesses are sending and ramp up the production of electric models, especially for commercial vehicles, to offer companies the market choices they want. Otherwise they risk losing out on a huge opportunity to lead in the electric transport transition. Cost is still a factor, but is coming down fast. The cost of battery packs has fallen 85% since 2010, and Bloomberg New Energy Finance predicts that up-front costs of electric vehicles will be fully competitive with diesel in 2024. In some cases, electric vehicles already cost the same as internal combustion engine models when considering the total cost of ownership. Range anxiety is also rapidly becoming a thing of the past. As we’ve seen at this year’s Geneva Motor Show, new models are entering the market with ranges of 200-300 miles, and some auto manufacturers continue to push the envelope on new technology developments. Thinking of the right size for vehicles is also important. For city center operations and fixed routes, vehicles do not always need a large range, and models with smaller batteries can be more cost-efficient. Does more need to be done in the area of charging infrastructure in cities/regions? For commercial fleets, businesses often prefer to install their own charging facilities where they have their operations, allowing for full control of its accessibility. Further public charging is needed to support personal vehicles where they take longer trips. This is partly a question of raising awareness, as more infrastructure is often available than people initially think; they just need to learn where to look for it. Many of our EV100 members also commit to installing charging infrastructure at workplaces, encouraging greater electric vehicle uptake amongst their staff and supporting those employees who may not have the opportunity to charge at home. How can other posts get involved with EV100? We’re more than pleased to see the growing number of postal companies joining EV100 and committing to 100% electric fleets. The business case for electric delivery fleets is already strong, especially in city centers. We want to see many more companies in the sector join us to lead the transition and tackle both climate change and air pollution. The postal sector has a huge role to play in driving the global shift to electric transportation. As companies delivering services to millions of people in cities every day, they can play a significant part in addressing air pollution, while also benefitting from financial savings from high-usage vehicles. Our EV100 member Deutsche Post DHL, for example, is already saving substantial amount of money on its StreetScooter EVs compared with standard vehicles. 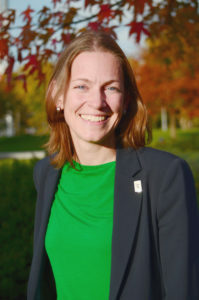 Sandra Roling is The Climate Group’s Head of EV100, bringing together major global companies who publicly commit to transition to electric vehicles in their operations by 2030. Through their leadership, businesses can send a crucial demand signal to the market as well as engage millions on staff and customers on electric vehicles, driving mass roll-out and making electric cars more rapidly affordable for everyone around the world. Sandra has held various positions in developing The Climate Group’s engagement work with business as well as sub-national government. She was also part of the founding secretariat for the We Mean Business coalition.